If you’ve been to Breckenridge, you already know that this one-of-a-kind mountain town has A LOT of fun to offer, both on and off its world-renowned ski hill. But, are you in the loop on the latest and greatest ways to enjoy Breck? Robbie’s Tavern at the Bergenhof, 1627 Ski Hill Road: Located at the Grand Colorado on Peak 8, this new hot spot on the hill is named after the late BGV Owner/Developer, Rob Millisor, and pays tribute to the historical Bergenhof restaurant which once stood on this parcel of land. Robbie’s offers American comfort food, world-class wines, a robust beer selection and unparalleled slopeside dining. The Downtown Trolley, 105 Watson Avenue: After a nine-year hiatus, Breck’s beloved and charming trolley has returned! Enjoy this free and unique way to explore historic downtown Breckenridge. Hop on at any Breck Free Ride orange stop, which runs the entire length of Main Street, from Breck Station to Blue River Plaza and down to the Stephen C. West Ice Arena. Bangkok Happy Bowl Thai Bistro and Bar, 103 N. Main Street: New in January 2017, this authentic Thai joint offers a robust menu featuring curry dishes, hand-rolled sushi, a full bar (with warm sake!) and is a definite crowd pleaser. Don’t forget to try their Thai iced coffee; it’s a game-changer. Cucumber Creek Boutique, 201 S. Ridge Street: New to Breck this winter, Cucumber Creek has been elevating the mountain style of women in Colorado at their original store in Avon since 2004. Stocked with unique accessories, bags, footwear, gifts, housewares, jewelry and outerwear, this shop gives Rocky Mountain chic a southwestern twist that you won’t find anywhere else. Continental Divide Winery, 505 S. Main Street: Located at Main Street Station, this family owned winegrower offers a one-of-a-kind Wine Blending Experience in addition to a diverse selection of fine wines made with grapes from Colorado and California. Their vino is perfected at 10,361 feet above sea level in the neighboring Town of Fairplay, making it the highest altitude winery in the WORLD. Zip Car: Don’t have a car? No problem! Check out Zip Car, an economical alternative to traditional rentals. Strategically parked cars around town can be reserved by members on an hourly or daily basis. Check out their site to sign up and get free rewards like tickets to the ice arena and gift cards to local businesses! Recently Remodeled – Giampietro Pasta & Pizzeria, 100 N. Main Street # 212: Known for the BEST pizza in town and making everything from their sauce to their delicious vinaigrette in-house, Giam’s now has a sizable bar area and private space for large parties! We recommend grabbing a couple of slices and enjoying a crafty cocktail in their chic and lavishly outfitted bar. Over the past few months, at least a dozen more enhancements have been made to Breck’s shopping, dining, and activity scenes, but you’ll have to experience them for yourself! Reserve your stay today at breckdiscountlodging.com and come fall in love with Breckenridge all over again. It’s even better every time, for reasons new and old! Come see the snow sculptures in Breckenridge! They will be up until this Sunday (weather permitting). Check out everything else going on this weekend! Looking for lodging while you’re up here? Check out BreckenridgeDiscountLodging.com for the best deals in town! Traditionally thought of as a day for lovers, Valentine’s Day doesn’t always seem like it’s a day for all. 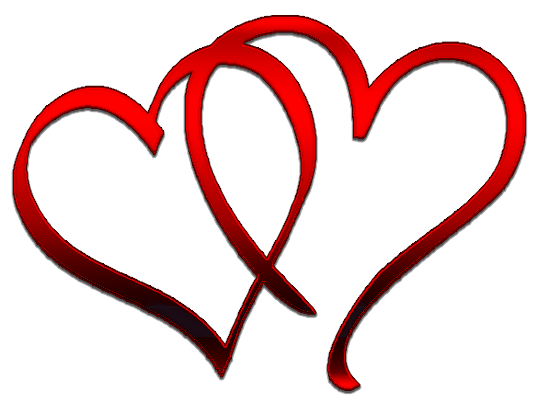 Here in Breck, we celebrate love of everything and everyone on Valentine’s Day! So, whether you’re giving it, receiving it, chasing it or wrapped up in it, love is something to celebrate. What do we love? Well, snowy Breckenridge, of course!! Check out the best ways to spend your Valentine’s Day in Breck this February. Sleigh Rides with Breckenridge Stables: Experience amazing views of Breck and the Ten Mile Range like never before and cozy up in your sleigh as it glides through the ski slopes. Massages and Spa Day at Soothe Spa: Treat yourself and your honey to a couples’ massage at the Grand Lodge on Peak 7! Don’t forget to enjoy the day in the luxurious grotto before and after. Dinner Date in Town: Treat your loved one(s) to wine, cheese and chocolate at Ridge Street Wine. For a more traditional and equally delicious dinner, head to Relish, Twist, Sevens, Hearthstone or Briar Rose Chophouse! Arts & Crafts at Ready, Paint, Fire! : Get crafty with the one you love and check out this Valentine’s Day Special for couples – $30 total to paint a heart shaped bowl or dish together. Includes a complimentary glass of champagne for each of you. Studio fees are waived which saves you $20! Bring your own snacks and call ahead for reservations. Cross Country Skiing and Snowshoeing at the Breckenridge Nordic Center: Want to surprise your loved ones? Pack a picnic to enjoy while taking in Cucumber Gulch’s stunning views. Hire a Private Chef: Local Chef, Ian Buchanan has been treating the taste buds of guests internationally for two decades and will come to where you’re staying to make your Love Day one you won’t forget! Ski Date: Hit the slopes with the ones you love and make some memories that will last at Breckenridge Resort. It also happens to be Women’s Ski Week, a celebration of women who love skiing and riding. Now that you’ve got the scoop on how to have an unforgettable Valentine’s Day in Breck, all you need to do is book your stay with Breckenridge Discount Lodging, grab your loved ones and gear, and get up to the mountains! Get your beads, masks, dancing shoes and king cakes and get ready to celebrate. 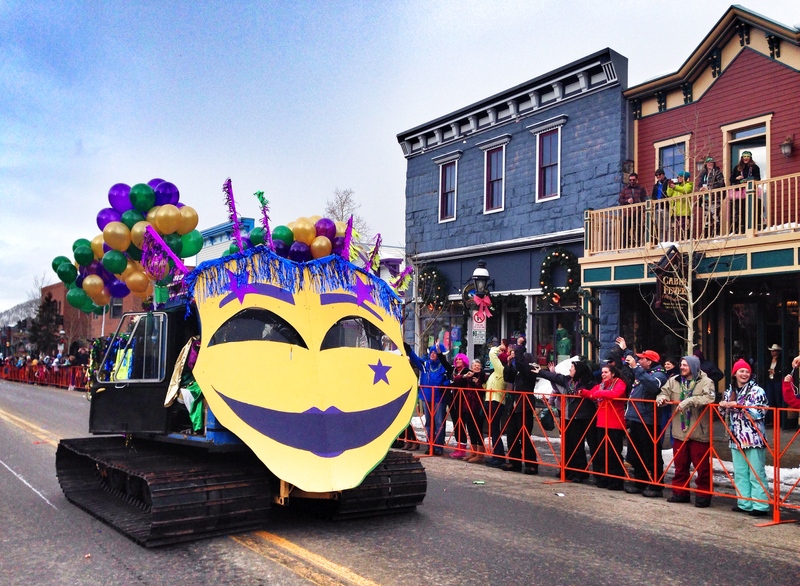 Fat Tuesday is February 28th and Breckenridge will be celebrating Mardi Gras in style. Once again the town will be filled with Mardi Gras lovers from all over the country for a Carnival throw down New Orleans style right on Main Street. The fun starts off with a gumbo cook off at Main Street Station at 3 p.m. Then head over to Main Street for the annual Mardi Gras Parade and cap it off with a free concert at the Riverwalk Center featuring the Lowdown Brass Band. 3 p.m. at Main Street Station (505 S. main Street) – Start the party with some partying, hurricanes and a gumbo cook-off prepared by local restaurants. 4:30 p.m. starting at Watson and Main Streets and continuing on to South Park Avenue – Share in the Fat Tuesday Celebration with friends, neighbors and visitors! Gather along the fenced parade route and the floats and zany antics of our locals. Don’t’ forget to watch out for incoming beads and candy! nd don’t miss the free concert featuring the Lowdown Brass Band featuring dynamic vocalists, hip hop MC’s and body movements guaranteed to get anyone up on their feet dancing. Don’t miss this timeless celebration. Visit www.gobreck.com for more information. 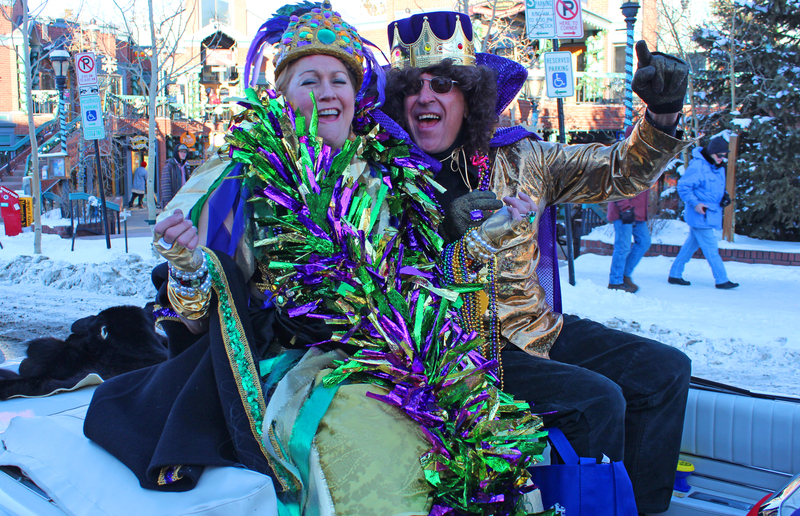 Don’t Forget for the best deals on Mardi Gras Lodging in Breckenridge visit www.breckenridgediscountlodging.com. https://www.bestofbreck.com/wp-content/uploads/2017/01/Friday-Jan-27-17.jpg 1500 1500 Mark Grattan https://www.bestofbreck.com/wp-content/uploads/2015/08/logo-332x156.png Mark Grattan2017-01-27 09:11:002017-01-27 15:21:32Mardi Gras in Breckenridge! Can you believe we are already in the heart of ski season? 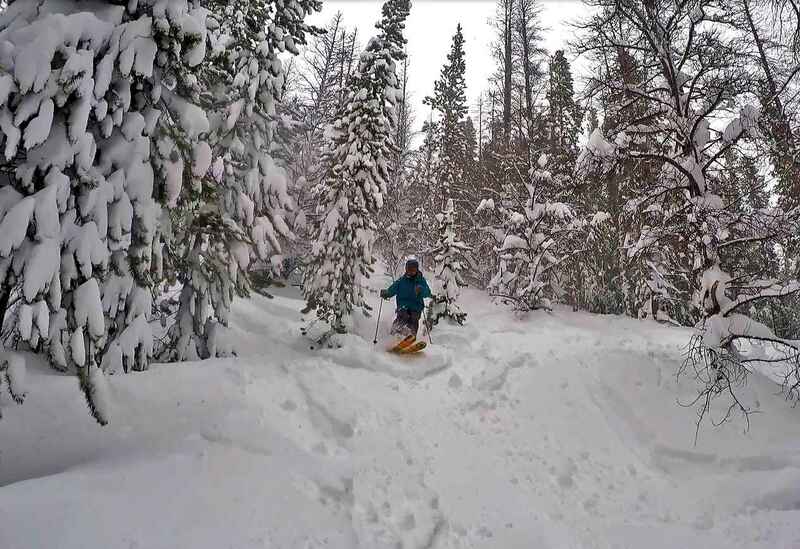 After “snow-mageddon” landed in Breckenridge, all we can think of is powder! If you’re curious about what has been going on in Breck lately, we’re here to keep you up-to-date! We couldn’t start this blog off without talking about all the fresh snow Breckenridge has received! As of now, Breckenridge is around 153% for snowfall for this time of year. It’s impressive! Over 4” of snow has fallen in the past month and the terrain is in pristine conditions. It has also been reported that Summit County is on pace to break the record for the most snowfall we’ve received in over 100 years! If you love skiing, winter, and of course, snow, NOW is the best time to visit Breckenridge. Catch some powder and celebrate the snow! 2.) 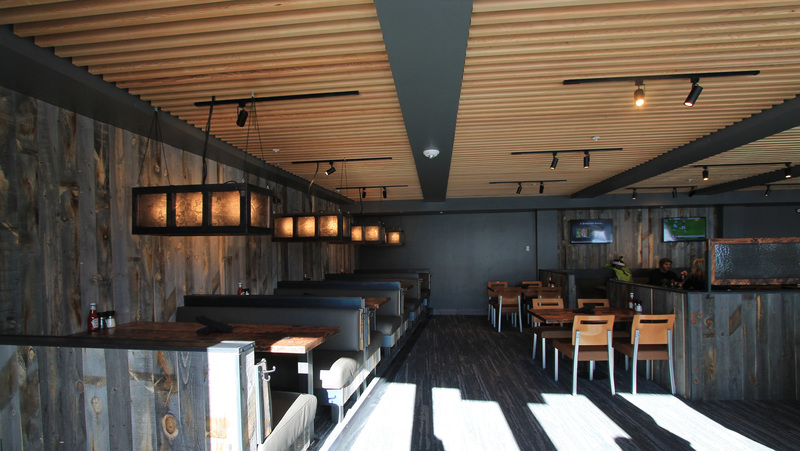 New Restaurant & Bar at the Base of Peak 8! There is a new restaurant at the base of Peak 8 – now open! 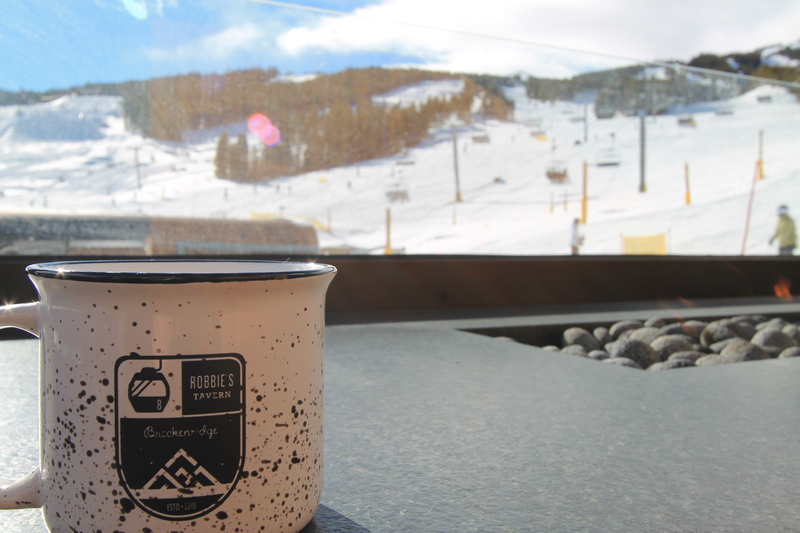 From their extensive menu selection to their patio overlooking the Rocky Mountain and Colorado SuperChairs, Robbie’s Tavern is the best spot to stop grab a drink, a bite to eat and rest your legs. -their prices aren’t too steep either! Make sure to try the Philly steak or French dip for a treat that your taste buds will not regret! For more information on their menu, location, and pricing, visit their website here! 3.) New Resort at the base of Peak 8! In conjunction with the new restaurant at the base of Peak 8, there is also a new resort, Grand Colorado on Peak 8! This luxurious resort features slope-side convenience, unbeatable patios with infinity pools, fire places, and top-of-line rooms! 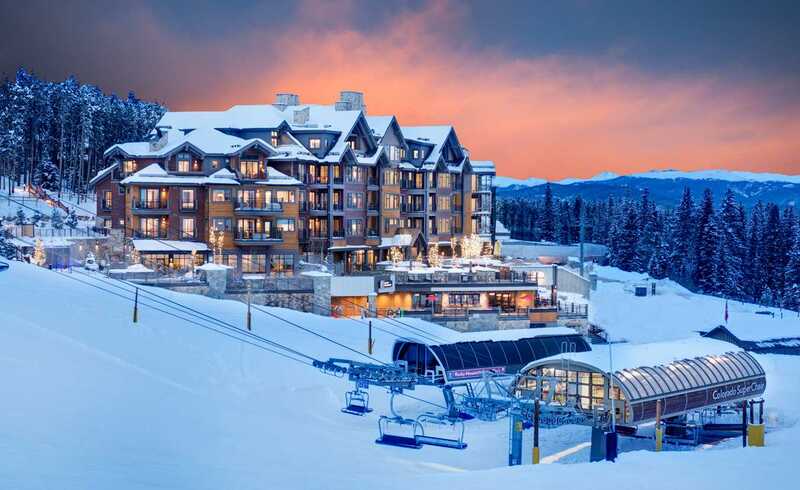 If Breckenridge is your go-to vacation town, this is a resort to visit! Click here to learn more! Got a Vail Resorts pass? Well you’re in luck! From January 17th to February 10th pass holders can take advantage of some cool benefits. During this event, pass holders can take advantage of perks like demos, complimentary racing, early lift access, food/beverage discounts and more! There’s tons to take advantage of during pass holder appreciation. The heart of ski season is here and we are enjoying all the blue skies, snowfall and the maximum resort access during this time of year. Come to Breckenridge and celebrate an epic winter with us and make sure to book your lodging with Breckenridge discount lodging for the best lodging deals in town! It’s “Sculpting Week” for the International Snow Sculpture Championships (ISSC). Swing by the Riverwalk Center and watch the artists at work! The Fire Arts Festival is also going on this weekend! There will be everything from fire sculptures to fire performances and DJ sets. Don’t miss out! Multi-day exhibition with burning sculptures, fiery performances, DJ sets, workshops and more! Aged 9+ are welcome to learn how to sculpt snow! Click here to sign your little ones up! Looking for lodging in Breckenridge? Look no further. Click here for the BEST deals in Breck, or check out our awesome special going on right now below!